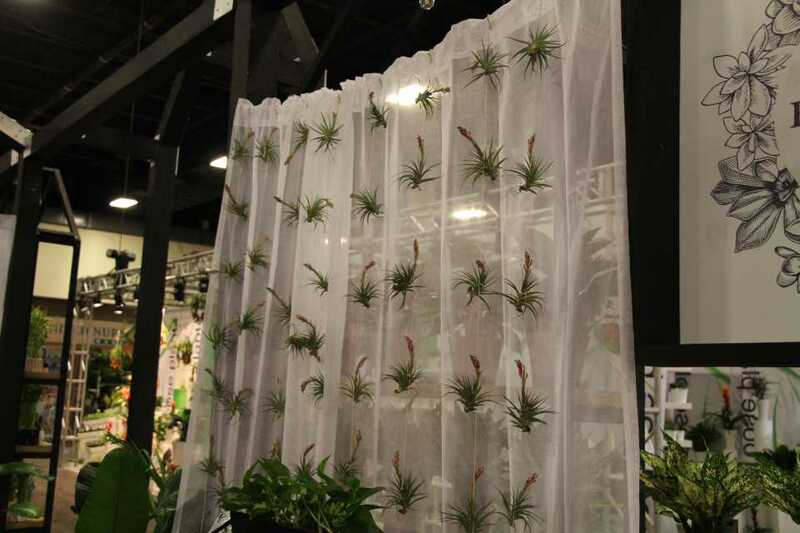 Costa Farms dressed up this simple curtain with air plants to display in its booth. The simplicity and whimsicality of it made for a great backdrop to offset the display. The Tropical Plant International Expo (TPIE), held Jan. 16-18 in Ft. Lauderdale, FL, not only features the best in foliage plants and tropicals, it’s also a great place to see what’s trending in the industry and spot some great products and display ideas. 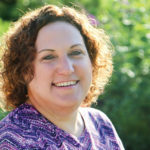 You always see a few classic trends with products and plants that never go out of style, a few that catch your attention for a short run, and some emerging trends that are mainstays in the making. Here’s a few trends, both old and new, that I noticed this year on the show floor, and check out the slideshow for more fun products, displays, and trends to lend you inspiration. Muted colors are still popular, but bright colors are joining them as they start to make their comeback. The simple elegance of white never seems to go out of style. Cascading Phalaenopsis orchids with big, bold blooms are coming into their own with their simple elegance and new take on the traditional orchid. Message pots were everywhere. Paired with succulents and air plants, they’re communicating with consumers in a new ways. Retail offerings of pots and gift items are becoming more multi-cultural and all-inclusive, conveying the message that everyone, no matter what their ethnicity, sexual orientation, religion, etc., is invited. More retail products seem to center around creating emotional connections for consumers, whether its nature, joy, relaxation, fun, or whimsy. Pilea is the hottest up-and-coming plant around. It appeals to young and old alike and lends itself well to sharing with friends. Pots and containers are becoming more sleek and uncomplicated, allowing plants with unique foliage patterns to standout. The natural look appeals to the environmentally minded. Suppliers are capitalizing on this, creating products for plants that come in guilt-free, recyclable packaging, or that are made with reusable materials.